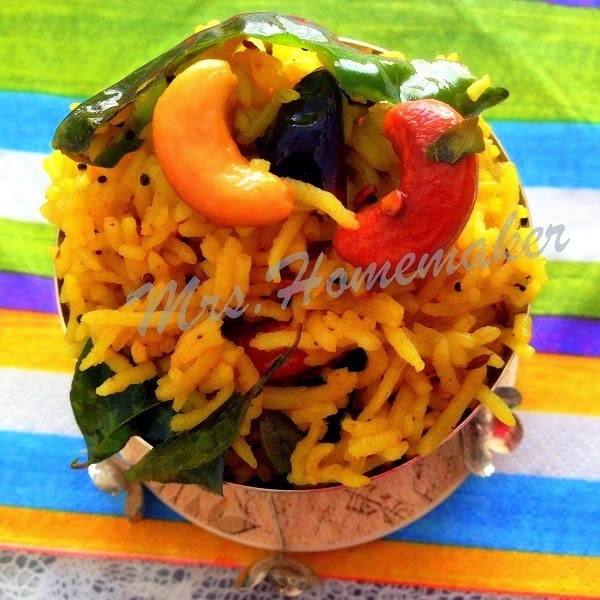 Traditional savory tempered yellow rice , a perfect vegan meal especially on occasions and an all time favorite to many . As discussed in my previous posts about the varieties in pulihora or puliyogare , here is the most traditional and authentic recipe made with rice which is savored with various tempering seeds and tamarind pulp . 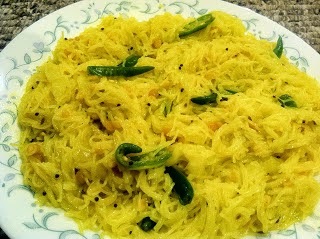 This recipe is the first choice when it comes for a celebration esp for a typical South Indian . 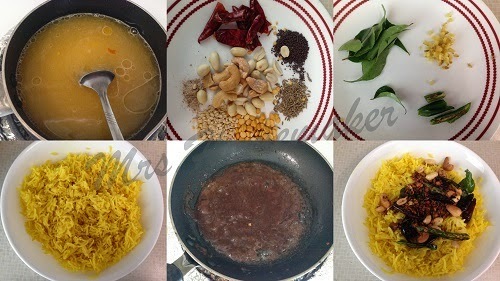 The recipe I am sharing today is pure Andhra style with flavors like spicy , tangy and nutty infused in a single dish . 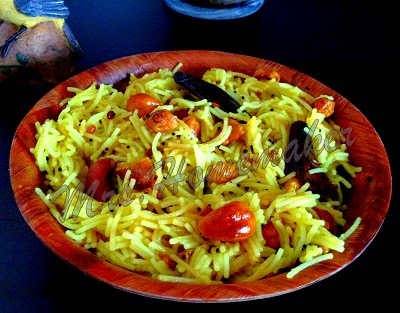 Try this recipe and I am sure this will be one among your other favorite recipes . There are many other varieties in preparing pulihora , which I will be sharing in my next posts . Step 1: Rinse and wash rice , cook along with a pinch of turmeric and a 1/2 teaspoon of oil . When done , dish it into a large bowl to cool. Step 2: Take a pan add oil, when ready and not smoking , add in the tempering taken and when it sputters , add it to the cooked rice . Step 3: Now in the same pan , pour in the thick tamarind juice along with sugar and fry, it until it turns into a paste and oozes out oil . Step 4: Now toss in some salt into the rice along with tamarind pulp (as required) and mix with hand gently without breaking the rice . Step 5:Serve hot or cold as per taste . While making the tamarind pulp , as per the steps provided, you can refrigerate the extra pulp in a air tight jar , for next use in sambaar, or dal or for puliyogare. Toss in the salt on rice , so that ,it will be distributed evenly while mixing . 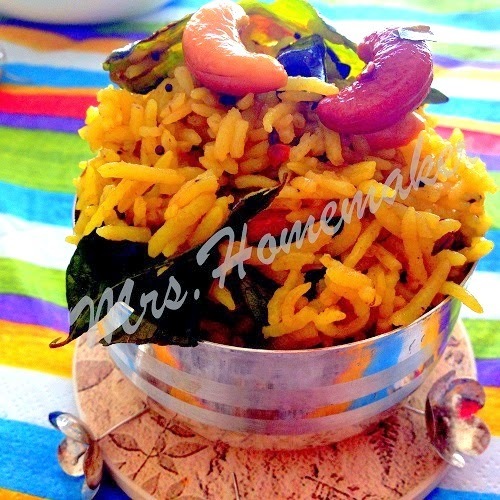 My fav rice recipe..lovely lovely puliyogare..